Made in sold wood with a painted finish. 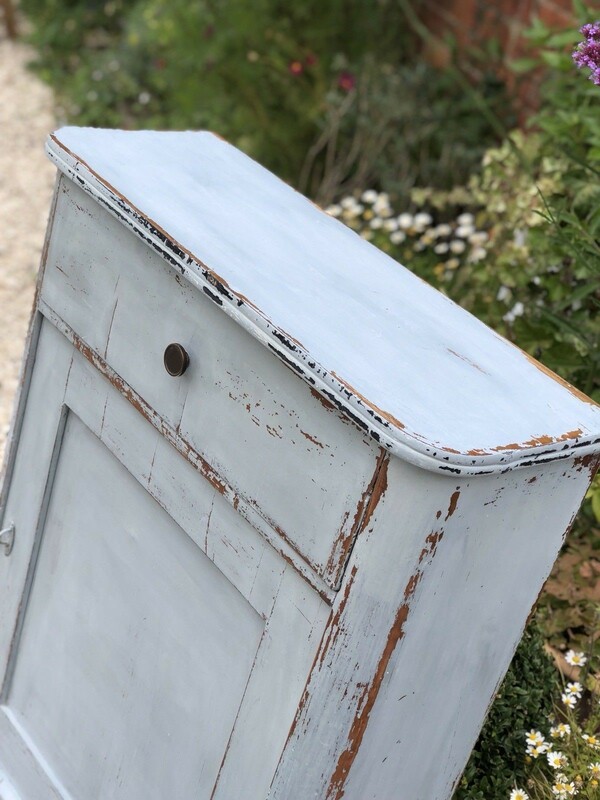 Lots of distressed paint and wear around the edges and drawers where you would expect. 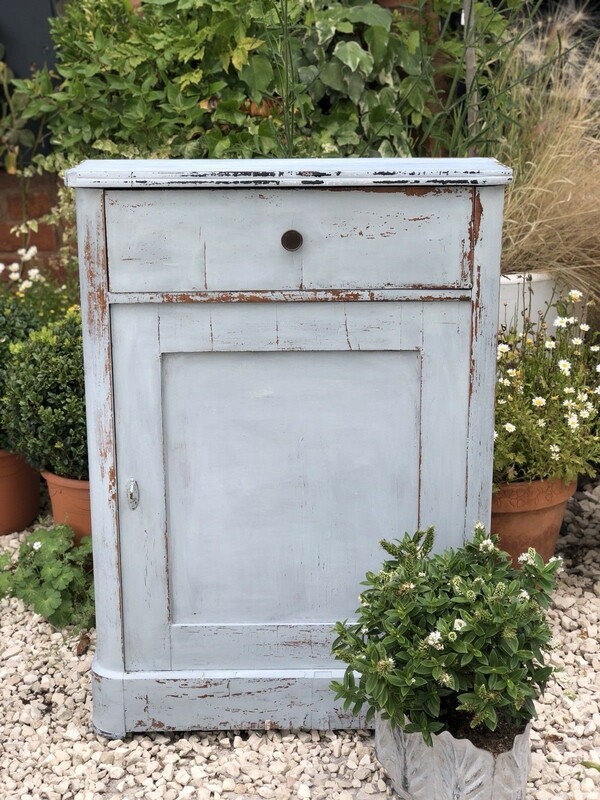 This piece has been refreshed with miss mustard seed milk paint which gives a superb natural look and ages down beautifully. The colour is shutter grey. The inside is unpainted pine and you have a top drawer as well as bottom shelf. This is an unusually narrow piece so very useful in a hall etc.